Marketing Translation Vs. Transcreation: What’s the Difference? Many companies devote energy, time and money into developing their marketing collateral, but tend to do so purely with a domestic audience in mind. When it comes to presenting your brand to new markets overseas, the cultural and linguistic barriers can seem rather daunting but they are imperative considerations if your international campaign is to be a success. This is precisely why professional marketing translation and transcreation services exist. Transcreation is best summed up as creative international advertising translation. The act of Transcreation itself refers to a message being presented in another language in a way that has been moulded to suit a new audience. Specifically used with a marketing focus, the idea is to elicit the same emotions, wants and needs in the new audience as were intended for the domestic audience of the original message. This can involve the creation of new imagery, branding and copy. These alterations remain true to the spirit of the original (though they may differ greatly in appearance) and produce the same end result (usually, making the audience want to buy the product in question). A variety of other terms are used to refer to transcreation. These include creative translation, international copy adaptation, cultural adaptation and cross-market copywriting. The term ‘transcreation’ comes from the Latin ‘trans’ (meaning ‘on the other side of’) and ‘creare’ (to create). There are two theories as to the origin of the word in its current form. One theory is that the term transcreation came into popular use in the 1960s when it was used to describe the creative translation of marketing materials such as advertisement copy. The other is that it was created during the 1980s, when developers in the booming computer and video games industry found that they needed to tailor not just the language of their games, but also the storylines and images, in order to culturally adapt their games to sell well in different regions. Whatever its etymology, the use of the word transcreation became more commonplace during the 1990s, when the rapid growth of technological capabilities and global transportation networks meant that many more companies began to promote their brands internationally. International marketing expertise was in demand more than ever before. Those working in international advertising needed to differentiate the work of traditional marketing translation from the more creative art of transcreation, with the result that the latter term flourished. The term transcreation has now spread from its originating English-speaking countries to other parts of the world, with China and other Asian nations adopting it from around 2010. Marketing translation involves the translation and localisation of copy from one language to another. This can include the adaptation of linguistic elements, such as idioms, in order to localise the copy for its intended audience. It relates mainly to the translation of copy, rather than touching on branding and imagery. How do transcreation and marketing translation differ? Transcreation and marketing translation share certain similarities. Both deal with the conversion of messaging from one language to another. Marketing translation can include the translation of logos, taglines and advertising copy, with appropriate localisation to ensure that the language is suited to the target audience. It is not simply word for word translation, as slang, humour and cultural references are localised during the process. Thus a UK advert that mentioned it ‘raining cats and dogs’ would be converted to ‘raining ropes’ for a French audience. Transcreation takes a different approach. Not only are idioms and cultural quirks adapted, but the whole project is considered from the ground up. A transcreation specialist will consider the motives and the desired outcome of the original advert, then set about achieving that for a new audience. Imagery, headlines, branding, voice overs, body copy, taglines and more can all be changed in order to ensure that the readers or viewers feel the same way as a result of the advertisement, regardless of their linguistic and cultural background. A (very simple) example could be adapting an English poster for a Chinese audience. Marketing translation would convert the text into Mandarin and drop the translated copy into the existing poster design. Transcreation would consider the poster in its entirety and perhaps suggest changing the colour scheme to have less white (an unlucky colour, associated with mourning and loss in China) and more red (the colour of happiness), as well as translating the text. The two approaches can also meet in the middle for many projects. For example, an advertiser might opt to use transcreation for her logo and taglines, while using marketing translation for the main bulk of her copy. The two services complement each other in this way, with both bringing their own intrinsic value to the international marketing process. The key to getting both transcreation and marketing right is communication with the company behind the message. The original adverts were born of an idea about how they should make audiences feel, what they should make people aspire to and what calls to action they should contain. It is these elements behind the adverts that a professional marketing translation and transcreation agency needs to understand. Having a feel for the client’s vision is essential and can only be gleaned through dialogue around the motivation behind the advertising campaign. 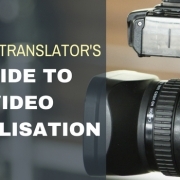 Once the big picture is understood, both the marketing translation process and the transcreation process can be carried out in such a way as to bring the vision to life for new audiences. As with marketing translation, transcreation is undertaken by linguistic specialists and individuals with a highly creative approach to marketing. The nature of the task means that those involved need a deep-rooted understanding of both the culture of the original country and that of the target country. Professional advertising and translation agencies have specific teams dedicated to tackling marketing translation and transcreation projects. These teams are made up of talented linguists with specialist international marketing knowledge. Their skill set also includes creative writing and design talents, enabling them to tackle both marketing translation and transcreation successfully. 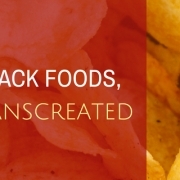 Transcreation covers printed materials, digital media and web projects. For one company, international advertising means the production of outstanding billboards, while international marketing for another means the creation of short YouTube videos designed to maximise reach through social sharing. There are of course a myriad of options in between the two, all of which fall under the umbrella of transcreation. One thing that companies should note about transcreation is that it is a longer process than marketing translation. It is more complex and companies should appreciate that it will, therefore, take up more of their time and energy. The fact that copy has been rewritten, new taglines have been crafted and new imagery has been sourced usually means that a whole round of additional approvals are required before materials can be signed off. This inevitably means that transcreation results in an increased number of draft iterations compared with that of marketing translation. Essentially, a company using transcreation has to go through many of the same brand-building decisions that it did when creating their original advertising materials, only this time with an international marketing angle to its processes. The upfront investment of time, however, is worth spending in order to achieve successful transcreation results. To transcreate or to translate? Companies that are new to the idea of marketing their services overseas need to consider whether their messaging would be best dealt with by a transcreation team or by a marketing translation team. Copy localisation is a specialist service in either instance, so it is up to the company to consider how well their brand will be received by the new audience. Seeking professional advice on this point is highly recommended, as a mistake in the decision-making process can be costly when it comes to international advertising. 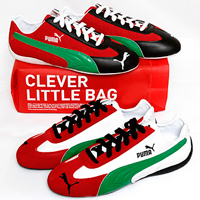 Just ask Puma, whose 2011 campaign sought to honour the United Arab Emirates’ 40th National Day by producing a limited range of trainers in the colours of the UAE flag. Emiratis were unimpressed by both the perceived trivialization of their national flag and its use on shoes, which in Arab culture are seen as dirty due to their contact with feet and with the ground. Needless to say, Puma quickly withdrew the line of trainers. Both marketing translation and transcreation can serve a company well when it comes to delivering their message overseas. 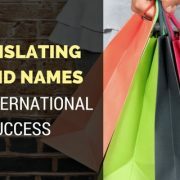 As a broad guide, if a company is confident that its taglines and messages can simply be translated, with some copy localisation thrown in for good measure, then marketing translation is a perfect way forward. However, if a creative rewrite of the tagline and other advertising copy is required, along with a redesign of branding and imagery, then transcreation is the best option. In either case, delivering the message in an appropriate way is paramount. The translated or transcreated marketing materials should generate the same emotions and responses that the original language materials did. This is the ultimate achievement when it comes to marketing translation and transcreation services. https://www.k-international.com/wp-content/uploads/2017/04/Marketing-translation-and-Transcreation-Whats-the-difference.jpg 317 702 Paul Rand https://www.k-international.com/wp-content/uploads/2018/09/weblogo-V7l.png Paul Rand2017-04-24 11:12:072019-03-20 17:10:38Marketing Translation Vs. Transcreation: What's the Difference? 23 Twitter Accounts for People Who Love Languages What’s the Difference Between a Language and a Dialect?